There are various steps that you need to take when shipping your vehicle within the U.S. or to an overseas destination. First and foremost, you need to get auto shipping quotes from different companies and choose the auto shipping services that fall within your budget. Next, you have to take care of necessary paperwork and get approvals, before preparing your vehicle to be shipped. Finally, you or someone authorized by you needs to take possession of the vehicle when it reaches the destination. EasyHaul is a one stop-shop for all your shipping requirements for different types of vehicles. We follow a transparent pricing policy and provide end-to-end auto shipping services that involve everything from preparing your vehicle to delivering it to the desired destination. Like other industries, the auto shipping industry also uses different unique terms. To help avoid confusion and ensure a smooth shipping process, this post lists a few terms. Take a look. 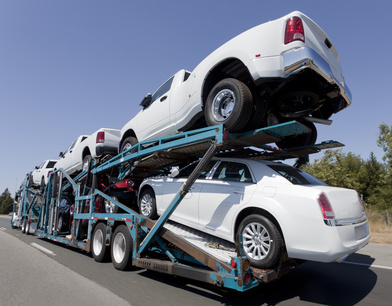 Vehicle shipping companies offering open vehicle shipping services use open trailers to ship vehicles. As the name suggests, these trailers have an uncovered top. Using open trailers to transport vehicles is the preferred choice of most vehicle owners due to its affordability. Using this method to transport your car will, however, expose it to the elements, and you must avoid using open trailers when transporting expensive cars. Providers offering closed vehicle shipping services use closed trailers, that unlike open trailers have a covered top. Companies offering this service often charge an extra fees. It is advisable that you use enclosed trailers when transporting collectible or expensive cars. Federal Motor Carrier Safety Administration or FMCSA is an agency under the Department of Transportation and regulates the trucking industry in the U.S. The FMCSA performs various roles such as granting operating authorities to vehicle shipping companies, enforcing safety regulations, and spreading vehicle safety awareness among carriers, drivers, and public.When shipping your vehicle, make sure the vehicle shipping service provider has a valid operating license by FMCSA. Terminals are regional car storage facilities where car shipping companies drop or pick up vehicles. A provider offering terminal-to-terminal shipping services picks up the vehicle from the local terminal (located at the origination point) and drops it at the terminal of the destination. One of the most important advantages of hiring terminal-to-terminal services is that most providers allow the customer to drop their vehicle at convenience. Pickup window is the time at which the provider schedules to pickup your vehicle. Dropoff window is the the delivery date and time for your vehicle. Dropoff window depends on many factors such as the destination’s location. Further enclosed carriers usually take less time to deliver vehicles as compared to the open ones. From the day you contact an auto shipping company to the day the vehicle is shipped to its destination, you will come across many terms used in the auto shipping industry. Knowing all these terms is not always easy for an ordinary vehicle owners but goes a long way in helping you navigate. Easy Haul provides end-to-end shipping services that help you get rid hassles and risks associated with vehicle shipping. To learn more, fill out our contact form or call at +1 (360) 597-9320.